It was instant love when I caught my eyes on this Thakoon piece from Shopbop - a classic shirt dress silhouette punctuated with an asymmetrical hem and a flirty side-tie. 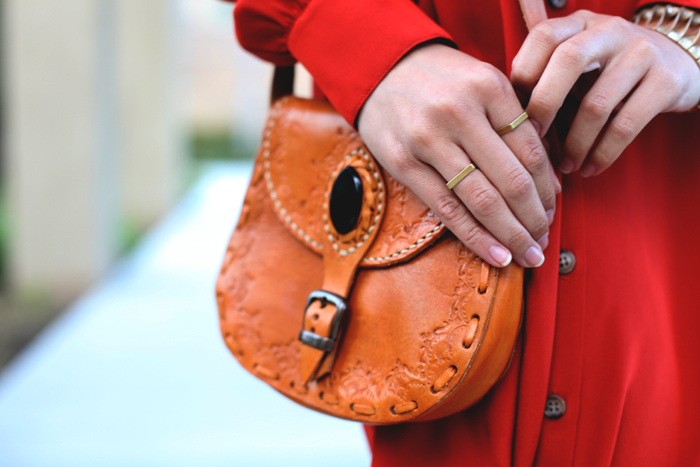 I accentuated its rusty color with some worn gold-plated jewelry from this new and wonderful jewelry brand, Chloe + Isabel (check out their amazing entrepreneurial opportunities). I'm slowly transitioning my wardrobe from fast fashion college days to bringing in more statement, classic, and versatile pieces that last past trends, which is why this easy, day-to-night Thakoon dress was a perfect purchase. Wow, that dress is stunning! It looks so good on you. Thakoon is a genius. I love this dress - although I could never pull it off like you! wow, that dress is really something different, love the cut and the gorgeous color! love those rings! and i love the knot on the dress~ well put together steph! 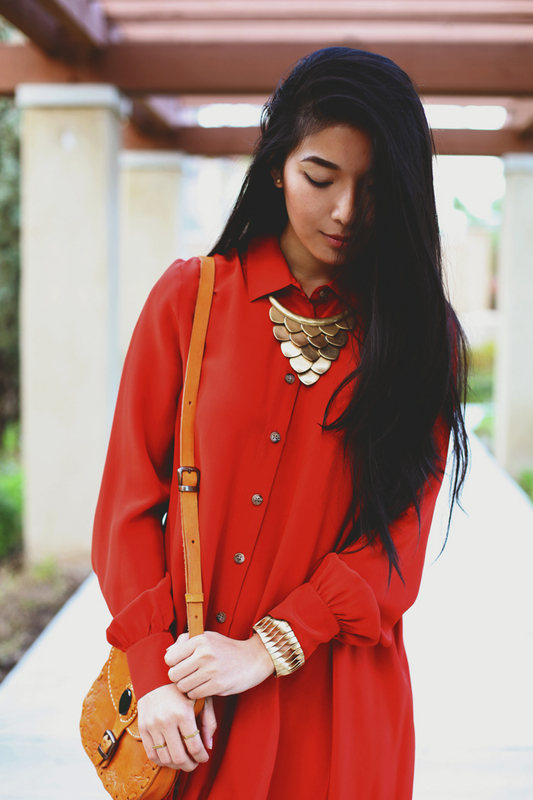 Love the maxi shirt: gorgeous! Such a Gorgeous dress & the colour... Beautiful! * - * That dress is beautiful. 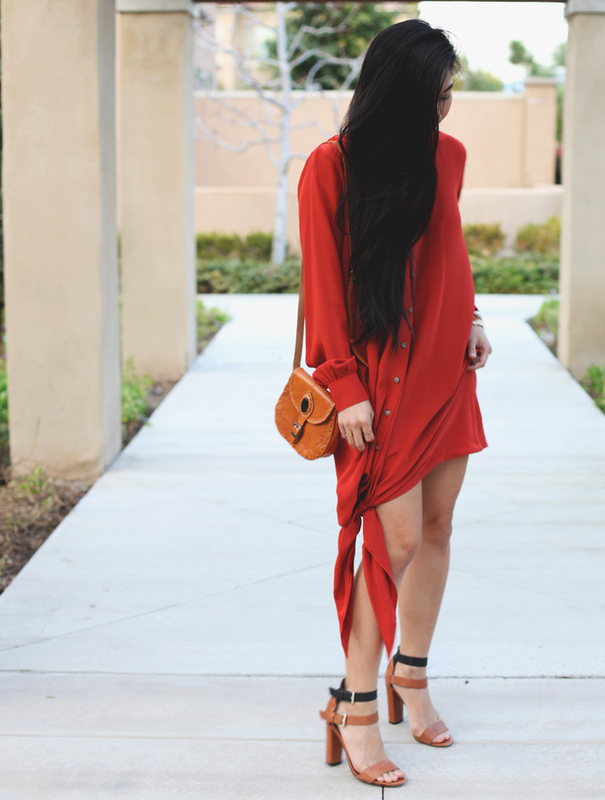 That dress is gorgeous, love how it is basically a super oversized shirt! This is just gorgeous on you! love this color!fits perfect on you! Love the dress. Such an effortless look.